Treat your skin to Omorovicza's Omoressence, a hydrating and balancing essence that prepares your skin for the next steps in your skincare routine. 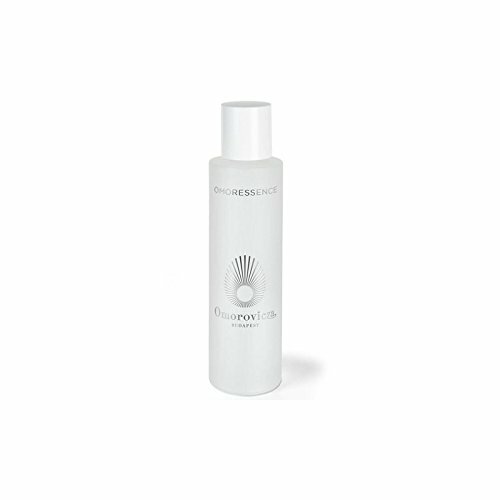 Helping to retain moisture in the skin with a complex of amino acids, the quenching formula combines the power of healing minerals from Budapest's thermal spa waters with natural moisturising actives and polysaccharides to protect skin from environmental stresses whilst reducing inflammation and aiding the skin's natural repair process. Its patented Hydro Mineral TransferenceTM delivery system works to firm and re-densify skin, leaving it supple with a younger-looking appearance. Collagen and elasticity is improved and skin feels calm, comfortable and perfectly balanced. - K.N.